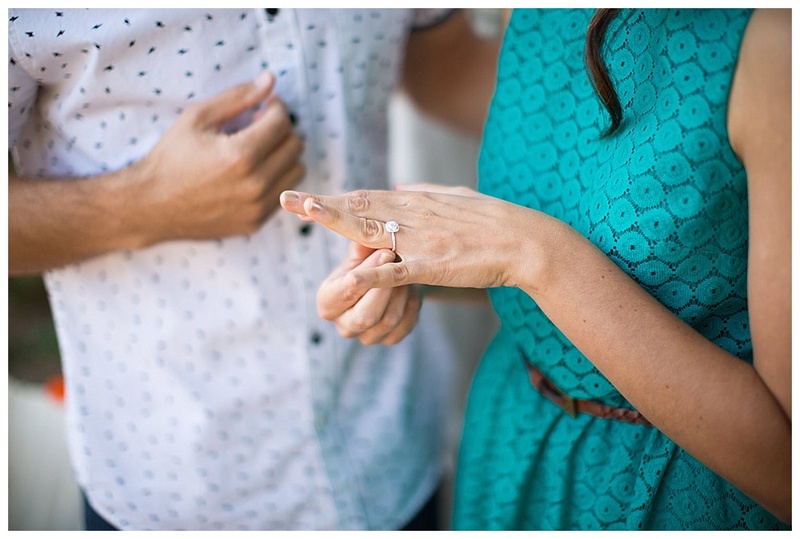 Introducing the Spoken Bride How He Asked proposal series! Alongside the beautiful and distinctively Catholic weddings featured on the blog, we are thrilled, starting today, to begin sharing engagement and proposal stories. Our hope is to let it resound that love is alive. Love is of Christ, and and Christ is alive so entirely and specifically in every romance centered on him. It would be our honor to tell your story, as well. Submit your proposal or engagement shoot with our Submission form. 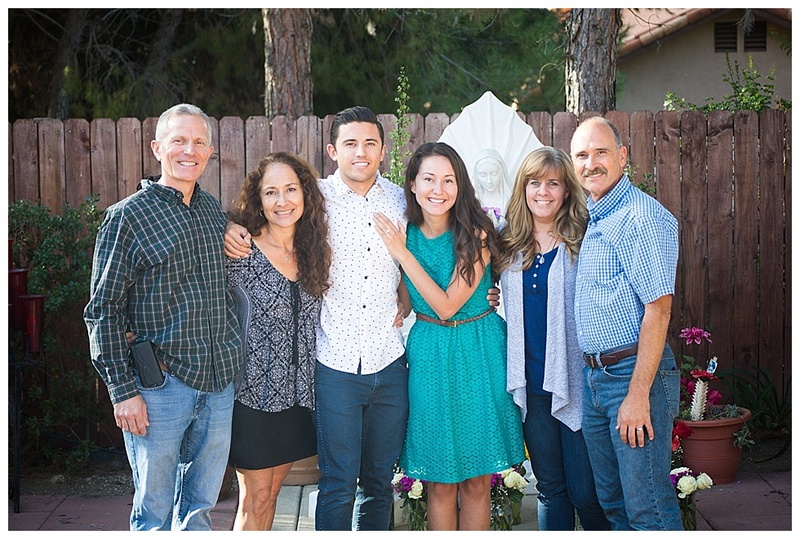 Nicole and David's families knew each other through their shared home parish, yet the two of them went to different schools and didn't interact much. They went on a few dates after high school graduation, after which Nicole broke off the relationship, yet David always stood out in her mind. Unknown to them at the time, the Father was molding their hearts for something greater. Scroll past the gallery to read their testimony, and join us in covering them in prayer! About two years after David and I met, I hit rock bottom, hard. It was there, at my weakest point, that I finally responded to God's mercy. Shortly after this conversion, grace poured in and David and I pursued a friendship again. A few months later we started dating once more. God was renewing my life completely. But in the midst of this newfound beauty, I was preparing to leave our home state of California and transfer colleges to Franciscan University in Ohio. When I got to Franciscan, I felt a strong call on my heart to be single and really get to know God’s voice in my life, which I had never done before. I was so used to going from relationship to relationship and never really discerning God’s will for me. It was hard to let go of something so seemingly good. But it the midst of the confusion, I knew God was able to work more during this time in our lives then he had ever been able to before. We were wounded and receptive to the divine physician. In the deepest part of my soul, I knew this was going to be a season of healing. The summer after our breakup, I ran into David in line for confession at our home parish. I was overjoyed to see him. One word kept coming into my mind: healing. I knew tremendous healing had taken place in both of our hearts within the past year. But God still had more to do. I was about to begin a semester studying abroad in Austria. I took this as a great opportunity to pray for my vocation. Let me tell you, when we pray sincerely, like a child, he hears and answers us. Little did I know a storm of grace was coming. I graduated from college this past spring. After five months of discernment, learning patience and growing our friendship from a distance, David and I started officially dating again once I moved back home. We soon decided the best thing for us would be to consecrate our relationship to Jesus, through Mary. So we began the 33 days to Morning Glory Marian consecration, ending on October 7th, the feast of Our Lady of the Rosary. After praying every single day for 33 days we were on fire. On the feast day, we went to Mass to celebrate our consecration. 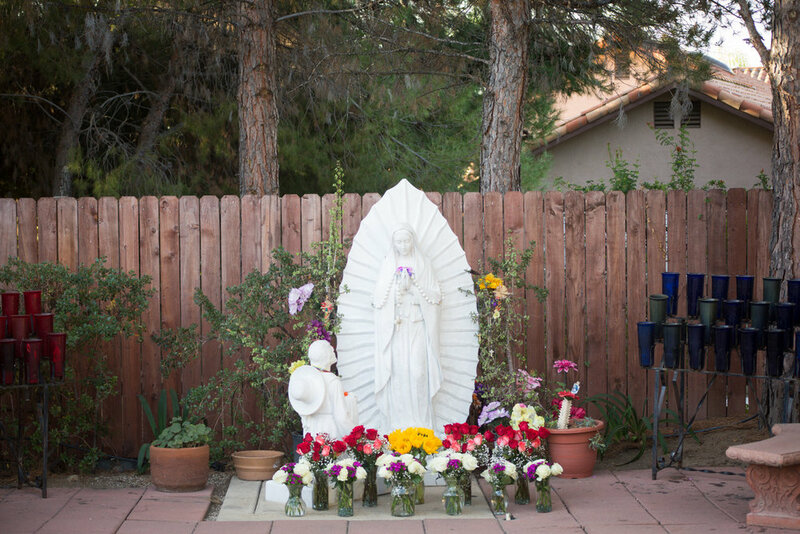 David took me to a statue of Our Lady of Guadalupe outside of our church. After we finished our last prayer to Our Lady, David got down on one knee and asked me to spend the rest of my life chasing heaven with him. He was my steady fighter, the one who fought to seek me through the heart of Jesus. Even in the midst of the twisted roads and unexpected turns in life, David was there. His heart revealed the father’s heart to me. So of course, I said yes! I am overjoyed to be fighting the good fight next this man and with Jesus as our guide, we will be Mr. & Mrs. This is God's merciful love revealed. Growing up, I always imagined that once I met the girl who would be my wife, we would hit it off and get married very shortly after. Boy was I wrong! I remember one night very specifically from our first months of knowing each other in high school; seeing Nicole at a party in this beautiful blue flowered dress. She had brought a guy with her; I didn’t know if it was a friend or a boyfriend, but that didn’t stop me from trying to talk with her. Luckily she came over towards her dad, who I happened to be talking with, and we had a short conversation as a group. This was enough to spark my interest, and shortly after we connected and I asked her out for coffee. Our resulting three dates included a baseball game where my car broke down on the way home and I had to have someone come pick us up. Two years later, Nicole and I had just gotten out of relationships with other people. Nicole’s relationship with the Lord had grown significantly and she began volunteering on the core team at our Church, where I also attended the weekly meetings. God was providing us with an opportunity to renew our friendship. So much healing occurred during these few months. Soon, with some help from our parents' prayers--they were secretly scheming by praying a novena for St. Raphael to intercede for us--Nicole and I began dating again. It was truly the best relationship I had ever been in. We were in awe of God’s goodness. Both Nicole and I had dated individuals who didn't share our Catholic faith, so dating someone who loved and shared the faith was huge. Our relationship wasn’t perfect, but it was marked by a sincere desire for purity and holiness. It was at this point I knew I wanted to marry Nicole. When Nicole was accepted at Franciscan, we celebrated the good news and discussed how we would be fine having a long distance relationship while she was at school. I was surprised, and devastated, when Nicole broke off our relationship for a second time. This began a difficult period in my life where I felt a strong temptation to run from God. I felt like I had tried to do things the right way--his way--yet it didn’t work out. I’m sure many people have felt this way, and some have even left the church because of it. Luckily for me, through a great deal of prayer, grace, and wrestling with my own doubt, I began to push into God and he softened my heart. God gave me the grace to desire Nicole's happiness, despite what that meant for mine. During the next year and a half, Nicole and I never spoke until the day we ended up in the confessional line together. Even with Nicole leaving for Austria the following day, that conversation began God’s renewal of our relationship. Finally, after a great deal of patiently waiting, we both felt a strong call from the Lord and began dating again after Nicole's college graduation (third time’s the charm right?). It was beautiful to share with each other the way God had worked in our lives during the time apart. After getting back together, it wasn’t long until we began talking about marriage. Life had indeed changed and we were in a much better place financially, spiritually, and personally to move in this direction. In only four months by the time I had bought a ring and began planning how I would propose. One thing Nicole had told me during our conversations was that she would love to get engaged on a Catholic feast day. With this in mind, I began researching just about every feast day for the upcoming three months. As a gift to Our Lady and to Nicole, I decorated the garden outside the shrine where we were attending Mass with over 12 dozen roses and sunflowers, placed at Our Lady's feet. The Lord has taught me so much through my relationship with Nicole. I have learned God has His own timing and that it isn’t always the same as my own. He turns the bitter into sweet and makes all things new. As Nicole and I stand here together engaged, I couldn’t be more excited to receive the sacrament of marriage and begin our vocation. May we always bear witness to Christ’s selfless and sacrificial love.